"Some of her students don't go to the library. They don't turn to a dog-eared dictionary to look up a word. In a way they don't have to attend her course. Her laptop contains a lifetime of learning, along with what she will not live to learn. Summaries of philosophical arguments in online encyclopaedias, explanations of modes of thinking that took her years to comprehend. Links to chapters in books she'd once had to hunt down and photocopy, or request from other libraries. Lengthy articles, reviews, assertions, refutations, it's all there." 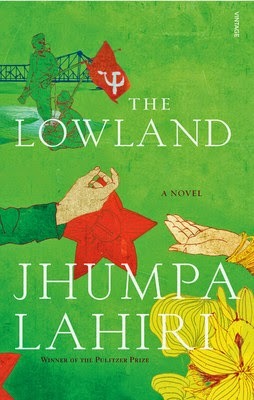 Today I finished reading The Lowland by Jhumpa Lahiri, which I borrowed from the lovely City of Perth library. I enjoyed it. It was shortlisted for the Man Booker Prize in 2013, but seemed to get quite mixed reviews from the public. I wanted to share this quote from the book. Just to give it some context - the character speaking is an academic and the book follows her life (as well as other characters') from when she was a young girl to when she was a grandmother. She is commenting on how much time she had to spend with books, in the library, in order to learn, how much effort and commitment she had to put in, and comparing it to the present where everything is online and available all the time. Why bother going to class to learn when it can be quicker, less effort and more targeted learning online? Now that people don't have to fight to get access to information, does deep learning suffer? Do we just look for quick answers as we need them, or are we still engaging with information with a critical and enquiring manner? I'm of the generation that didn't have the internet when I first studied at university. I virtually lived in the library during my studies, and learnt how to find journal articles in the stacks. I read an enormous amount, and made notes. I handed my essays in on paper and they came back covered in red comments. I learnt how to learn and that has stood me in good stead for life-long learning. I don't expect I will ever go back to study at university because there is so much I can teach myself by using resources on the net. Like the character in the book, I don't see the changes as a bad thing. I see them as a good thing - BUT. I'm so glad I grew up without the internet, in an era when everything was slower. I'm glad that in order to learn back then you really had to make an effort because you couldn't just Google the answer. Lecturers had time to give detailed feedback and insisted on high standards. People didn't seem to be as 'busy' then. Now there's so much information, everyone always seems 'busy', and academics seem to be complaining that students aren't learning academic integrity. Actually, this blog post has gotten off track. What I really wanted to say was how great it is that we can learn so much, so conveniently (and so cheaply!) by taking advantage of technology and public libraries. And, that I liked the book.